AVAILABLE ON BACK ORDER! USUAL DELIVERY TIME IS ABOUT 4-6 WEEKS. 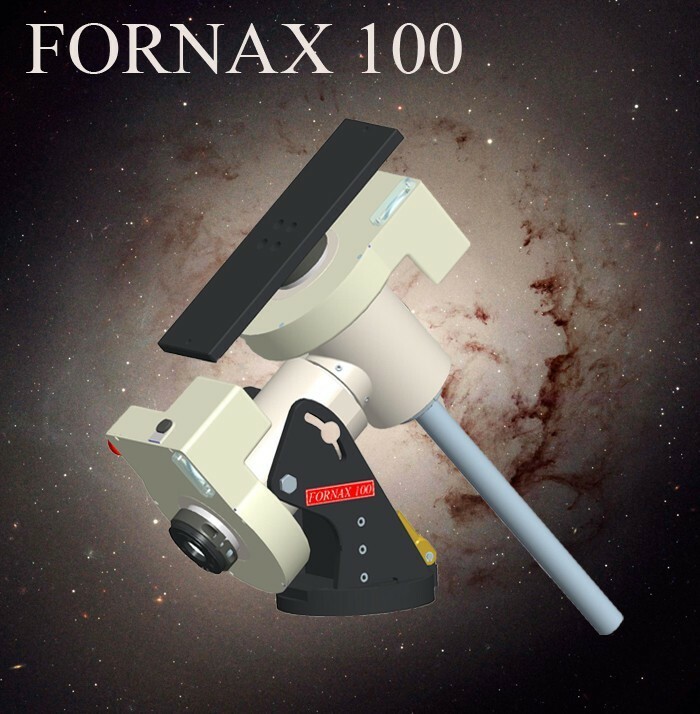 This is the latest incarnation of the former Fornax 100 mount. 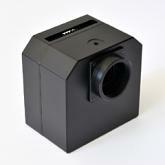 The New Fornax 100 comes with much strengthened and improved wormbox that makes it an even more precise mount. The new housing of the worm drive is stronger and it has got an extra unit that holds it in exact position, eliminating any sideway movement that could have occured in earlier versions when changing direction under heavy load. 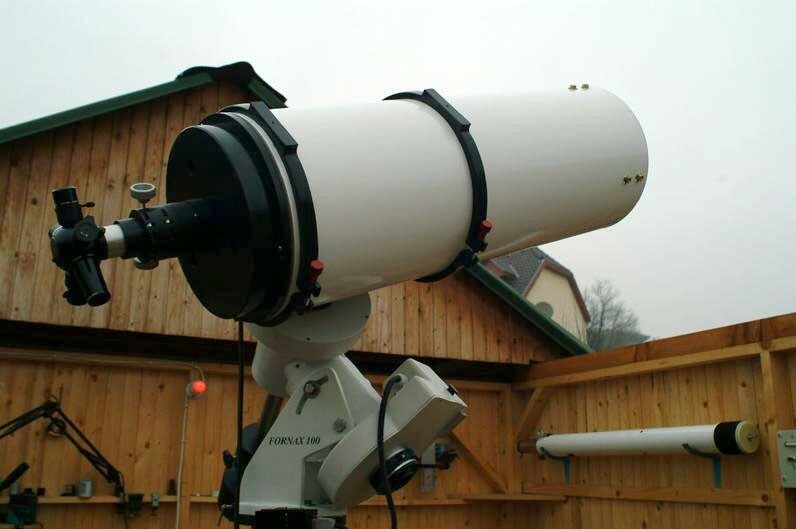 The Fornax 100 telescope mount is a heavy duty German Equatorial mount for precise positioning and tracking extremely large telescopes up to about 80-90kg. 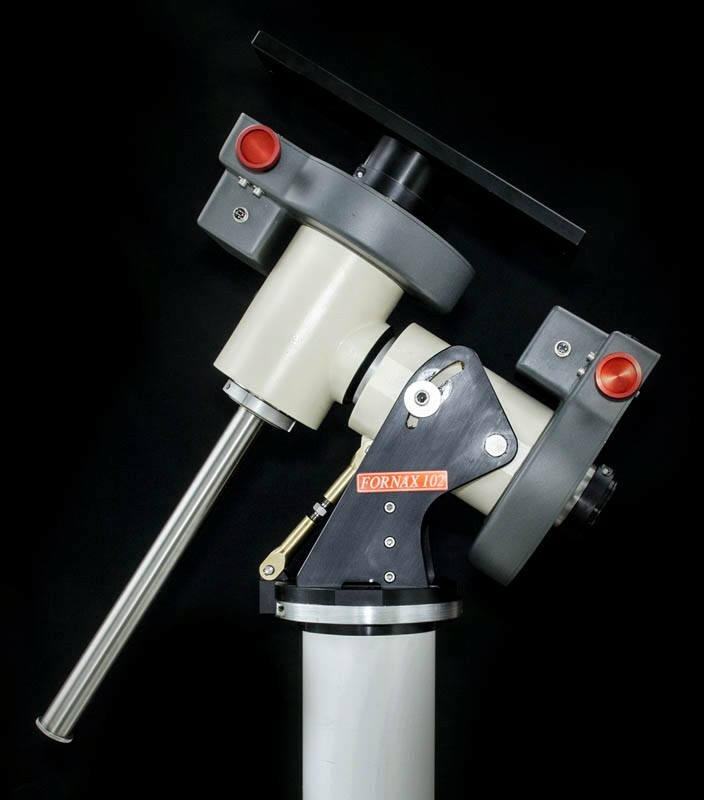 Although there are examples of use of even heavier telescopes up to 100kg, the recommended maximum load is about 80kg for this telescope mount when used for imaging. 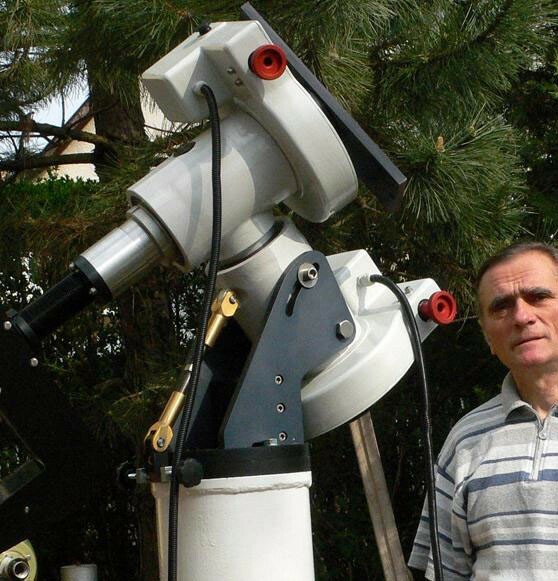 Thanks to the ingenious solution of the inner drive mechanism this telescope mount doesn't suffer from any backlash. 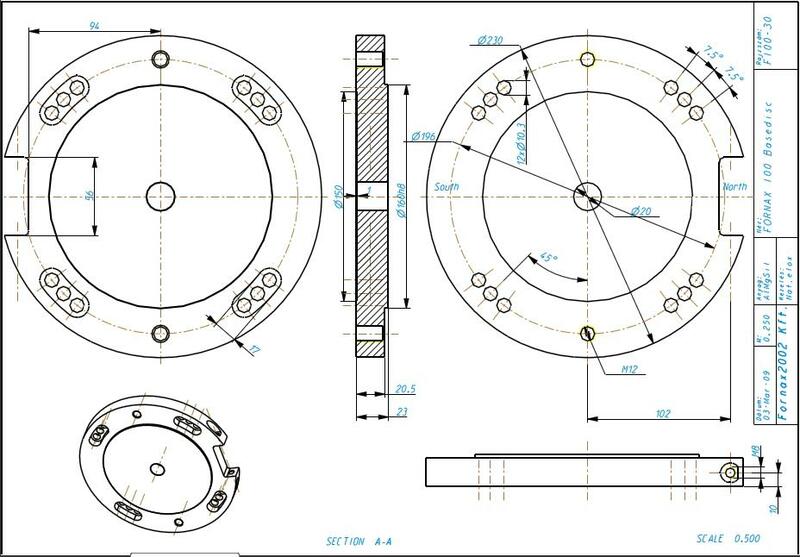 A very large worm wheel is driven by a precisely engineered worm gear that is connected to the electric motor via a belt-drive system. Due to the use of the OC5 controller and absolute encoders on both axes, there is practically no periodic error. This is beacuse the system will act like a dual-axis TDM (Telescope Drive Master).This is why tracking error will be reduced to below +/-1 arc seconds or maybe even +/-0.5 arc seconds. 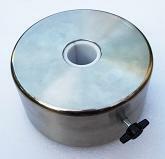 Support of absolute encoders. Even after a brake in communication it won't forgot position and once communication has been established again, it is ready to carry on. Increased speed and payload via dual power supply port. (this is optional, but free choice, so please let us know when ordering) This function mean that the OC5 can be powered from two PSU. Supply voltage can be up to 42 Volts for the electric motors, whilst the rest of the electronics needs 12-24 Volts only. Below instructions relate to the mechanical parts only. 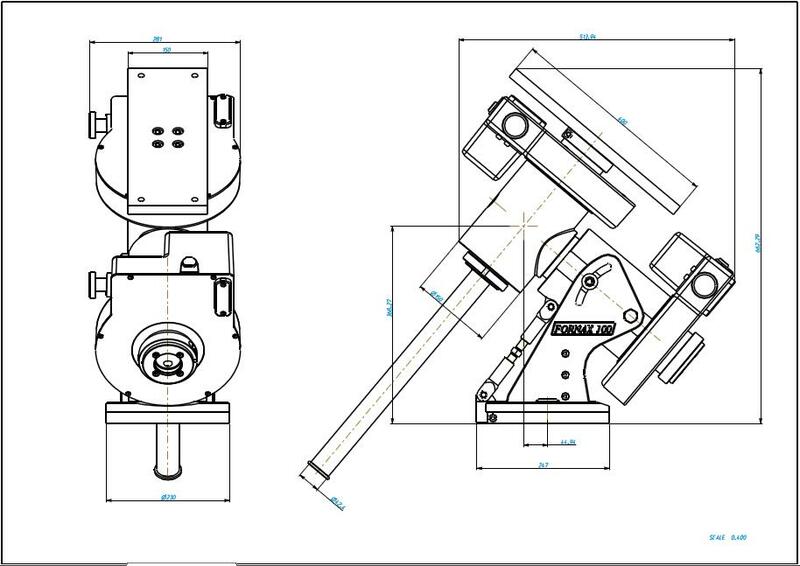 Instructions for the MC3 telescope control are available under the description of the MC3 controller and/or the manufacturer's website. 1. The red or orange knobs serve merely for manual directional movement. 2. If you have to disengage any of the axes, it can be done with an Allen key (size???). There is a locking ring at the bottom end of the Dec axis that is being secured by a screw. This locks the Dec axis for motorised movement. Loosen it up if you have to move the Dec axis by hand. 3. There are black(???) flat bolts (sort of thumbsrews...) near the housing of each stepper motor. With the help of these you can adjust the strength of the spring that pushes the wormgear against the wormwheel on each axis. 4. Polar alignment. Horizontal movement is done by two screws. The vertical movement is slightly more complicated. You'll have to slightly loosen up the four bolts on the two sides of the Dec axis (the lower bolts just a tiny bit), then adjust the angle of the Dec axis by the brass turnbuckle-like adjustment screw. Once polar aligned, tighten up the screws. Then check out polar alignment again. Repeat it until you got a satisfactory polar alignment. 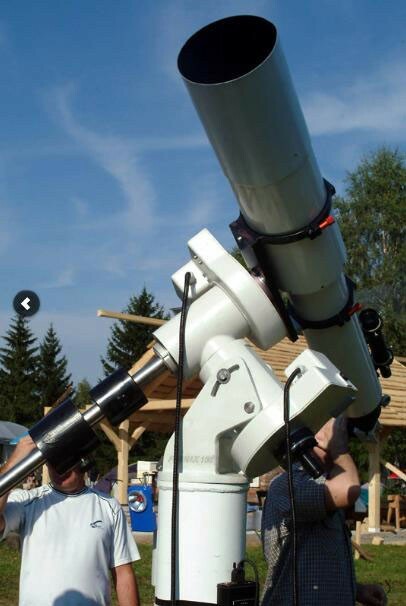 Best method for polar alignment for a observatory grade mount is a drift alignment. There are lots of variations of how to do it. Please search the net for this and choose one that suits your needs. Fornax also manufactures custom made instruments that have been in service on various scientific projects all around the world. These are the BlackGEM project that is a wide-field telescope array dedicated to measure the optical emission from pairs of merging neutron stars and black holes, the HATNET project that is an exoplanet survey of geographically distributed network of 7 small telescopes optimized for detecting transiting exoplanets, the HATSOUTH that is another exoplanet survey with a network of 6 astrograph telescope systems designed to detect transiting exoplanets in orbit around relatively bright stars visible from the Southern hemisphere, and the most curious project is the HAT PI that is 63 carefully aligned lens-and-camera sub-units attached to one huge tracking mount that will enable the detection of a diverse array of objects ranging from near-earth asteroids and exoplanets around bright stars to novae and bright gamma-ray bursts.